These golden-hued bottles of loveliness are so healthy it (doesn’t) hurt. We’re talking oodles of Essential Fatty Acids in the perfect ratio for the human metabolism as well as vital vitamins and terrifi c trace elements. Usually things that are so good for you don’t tend to taste that great (wheatgrass shots, anyone?). Happily these are as nyummy (OK I made up that word, it’s more of a sound) as they are nutritious. Mix up a salad dressing, use the hemp oil as a dip and cook and marinade with the rapeseed oil.They can be used in a wide range of ways; as salad dressings or dips for the hemp oil and as a quality cooking oil or marinades for the rapeseed oil. 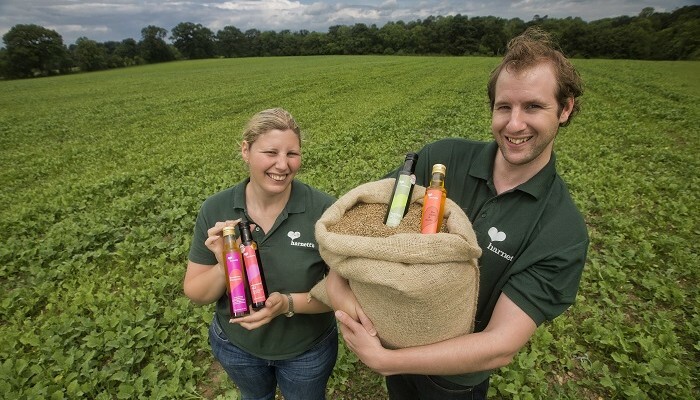 They’re also working on linseed and sunflower oils. Can’t wait!